There’s nothing quite like your first All-Star Game. The 2011 MLB All-Star Game featured a record 35 players who headed to their first Midsummer Classic. The previous mark was established last season when 33 first-timers were selected for the Anaheim game. Of this year’s first time All-Stars, 19 were on the American League squad, while there were 16 representing the National League. Being selected to an All-Star roster means much more than just playing in the actual All-Star Game. There are wide variety of pregame events ranging from the Home Run Derby, FanFest, media day and much more. There was always something to do and a place to be for the players. Among the first-time All-Stars was Blue Jays ace Ricky Romero. The southpaw is 7-8 this season with a 3.09 ERA in 18 starts. He’s posted back-to-back seasons of 13-or-more wins. Throughout the week’s events, Romero just tried to keep up and enjoy everything that had come his way. Like many of his fellow All-Stars, Romero had family and his girlfriend in Phoenix to help celebrate and enjoy the festivities. 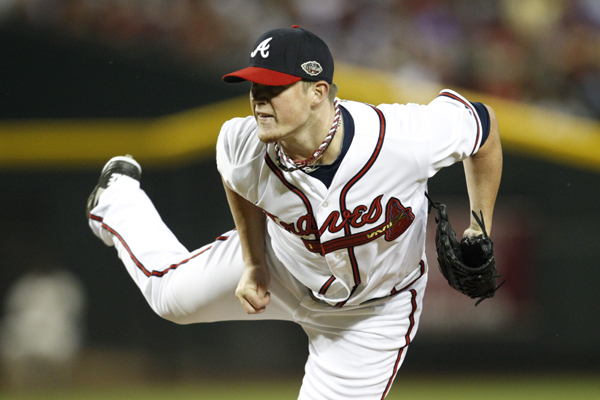 Atlanta pitcher Craig Kimbrel also partook in his first All-Star game. He was a late addition to the National League roster to replace the Giants’ Matt Cain. The right-hander has been lights out on the mound for the Braves this season, tallying an impressive 28 saves to go with a 2.35 ERA. Although he was honored to be chosen, the Braves hurler had mixed feelings when he initially heard the news.